Axiom Architects have proposed a tongue-in-cheek solution to the UK parliament’s Brexit deadlock, which sees the Palace of Westminster transformed into a more open forum for debate. 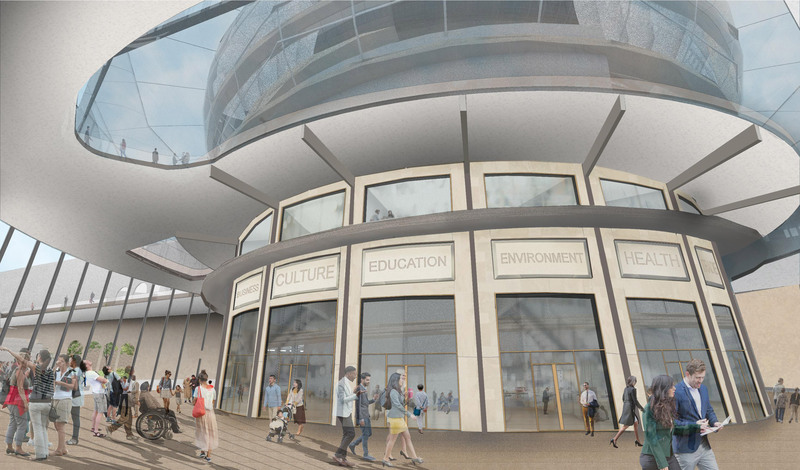 Instead of the House of Lord’s and House of Commons’ dark debate chambers, where political parties face each other in opposition, the concept for a new Central Assembly Hall would be open, circular and flooded with natural light. 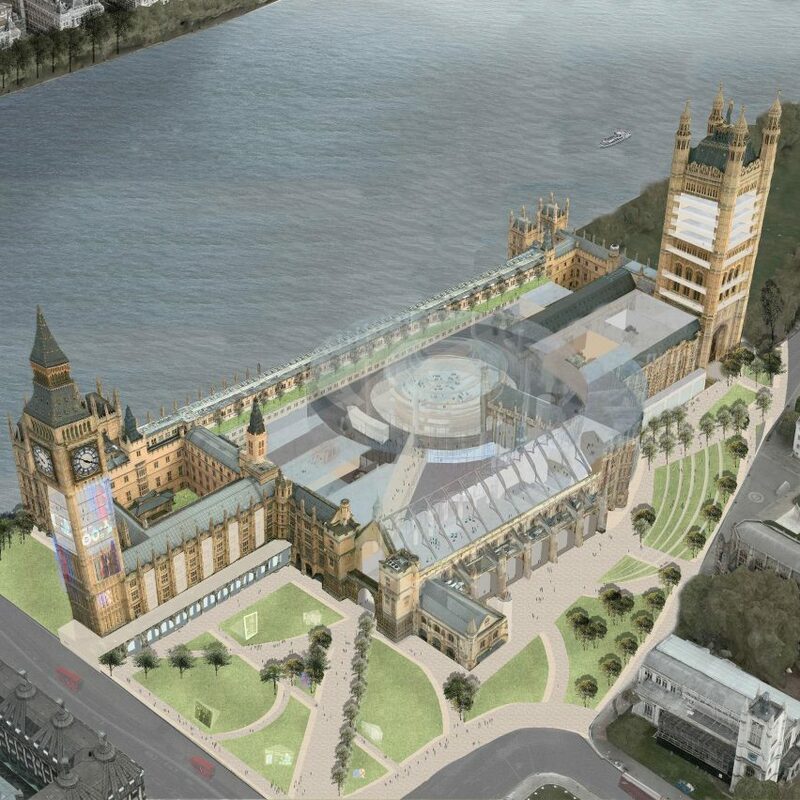 “We feel that our modern definition of democracy is not reflected in the current architecture of London’s parliament buildings,” said James Mitchell, partner at Axiom Architects, which specialises in residential and commercial developments. “There’s no doubt that the built environment affects the culture of a society, so the architecture of Westminster surely sets the tone for our nation’s politics. With its nooks, crannies and antagonistic layout for debate, Westminster encourages secrecy, tension and conflict in politics,” he added. 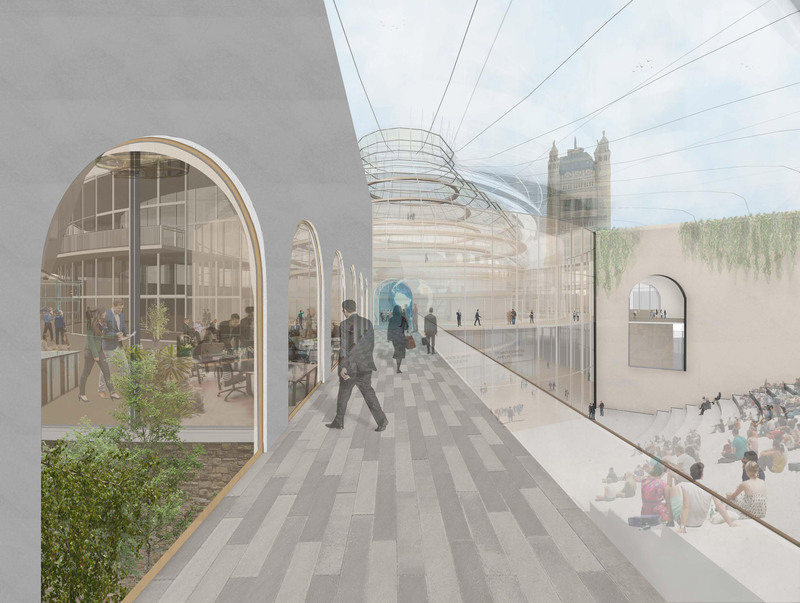 A transparent glass building would make the internal workings of parliament visible, symbolising transparency in democracy in much the same way as Foster + Partners’ City Hall building, on the other side of the Thames. Axiom Architects also suggested turning Big Ben’s clock tower into a modern communications tool complete with digital screens that would display news about government goings-on, such as updates on the Brexit deadlock. “We’re not saying that changing the architecture of Westminster will resolve Brexit overnight, but embracing a more democratic style of architecture could help promote more productive political discourse,” said Mitchell. 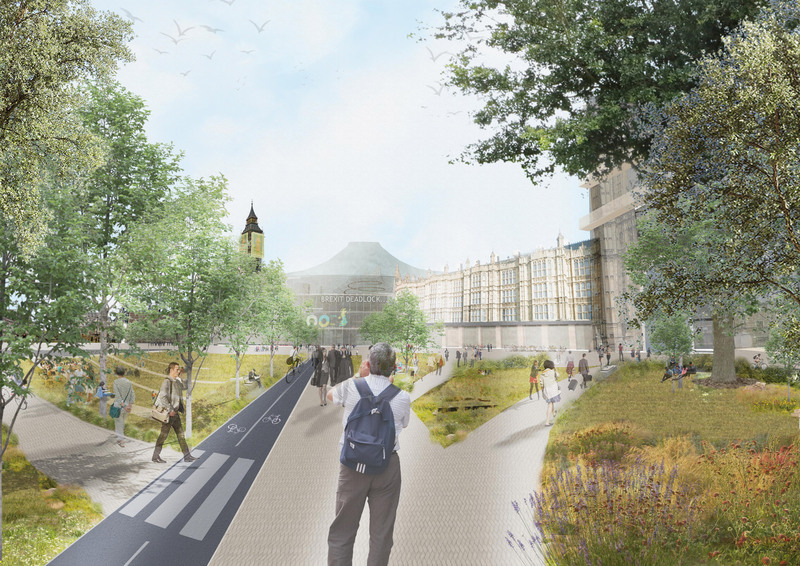 Inserting modern elements into the centuries-old building would help “burst the Westminster bubble”, he added. Inserting parametric architecture into important old buildings in London is an established trend. Foster + Partners added a curving glazed roof to the British Musuem in 2000, and John McAslan + Partners added a glazed entrance hall to King’s Cross Station in 2012. The post Brexit deadlock could be broken with parliament redesign says Axiom Architects appeared first on Dezeen.